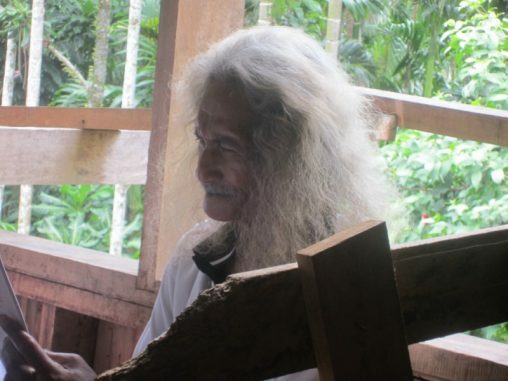 (October 2016) During a recent visit to the Solomon Islands, Nico and Chief Nathan Nukusaumua visited Nukufero, a Tikopian community in the Russell Islands. 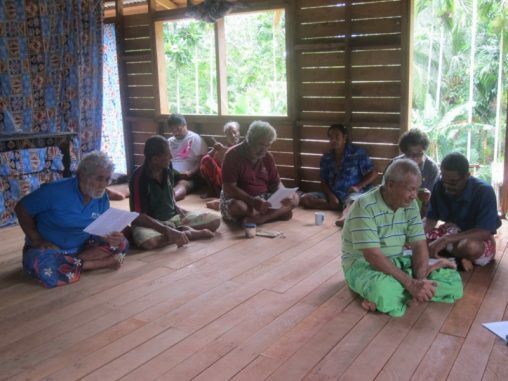 They took the four Gospels in Tikopian for the community to review. 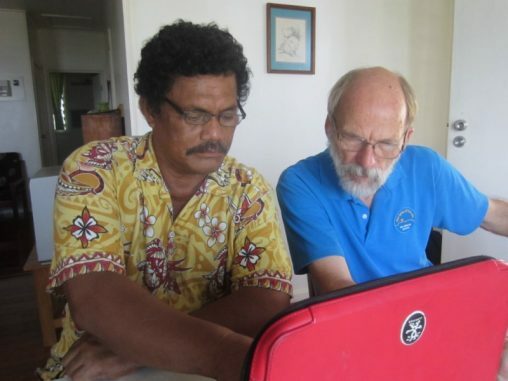 They were surprised to discover that the people had already set up two review committees and that those committees had been meeting three days each week to review the Gospels that Fr Walter Tamasia had given them about a year ago. This is the first time since the translation project started back in the 1980’s that they are taking the initiative to take this essential step! Chief Nathan will continue to travel to the various Tikopian communities in the coming months to encourage the reviewers there and to collect their comments.